Todd Elder is a young earth creationist who is active in the field of baraminology with an emphasis on taxonomy. has a deep desire to understand and experience Creation. As a Baraminologist, his current research includes developing the Katagenos Species Concept, the Natanzera Classification System, and the Floral Formula Method of determining Angiosperm Plant Kinds. As an author and speaker, his books and seminar materials are designed to encourage a growing relationship with the Creator. He is also coordinator of the Creation Science League and founder of the Encouraging Life Children’s Mission. He received a Bachelor of Science Degree from Kent State University, Ohio for a Conservation Biology Major and a Geography Minor. Todd Elder is the originator of the Katagenos Species Concept and Classification System. The term 'katagenos' comes from the Greek Septuagint translation of the phrase 'after his kind'. "The Katagenos Species Concept is based on the Theory of Created Kinds. It allows for a reproductive and genetic discontinuity between kinds and a continuity between breeds / species within a kind. The active dynamics for change within a Kind are communication and environmental acclimation and communication through the mechanism of genetic selection of already existing DNA. It currently combines the terminology of baraminology, breeding techniques, and Linnaean classification in order to express these concepts." The Natanzera Classification System is not going to try and create a new taxonomic language from scratch. Instead, it will incorporate the binomial nomenclature composed primarily of Greek and Latin words. This system removes the classification levels roughly above the Family level. By removing the larger taxonomic levels, the Creation Orchard is able to be shown rather than the Evolutionary Tree. However, to avoid confusion with classical taxonomic systems a new set of endings are proposed. Todd Elder is authoring the Elder's Model of Creation book series. This series is aimed at the young adult to adult reading level and explores the scriptural, scientific, and social aspects of Creationism. The textbooks and workbooks are designed to help believers understand life from a creationist perspective and encourage a relationship with the Creator. Created Kinds, Baraminology, and the Creation Orchard On the Origin of Kinds by Special Creation and the Preservation of Mankind by the Creator. Starting from the time of Adam, mankind has been describing and classifying his surrounding world. 'Created Kinds, Baraminology, and the Creation Orchard' is an introduction to the general evidence of the Creator, the value of life as seen through the Scriptures, and a scientific perspective on the classification of plants and animals based on the concepts of Creationism. The scriptural aspects of created kinds introduces the Creator and explores the differences between plants, animals, and man. It also examines the meaning and limits of created kinds at the time of creation, during the flood, and today. The scientific aspects of baraminology, the study of created kinds, explores the methods of delineating the created kinds, the amount of variation that can occur within a kind, and determining what those kinds look like today. The social aspects of scriptural and athiestic beliefs explores the implications it has on our stewardship of the world and decisions on what benefits or harms life. The Creation Orchard is a depiction and listing of the distinct kinds of plants and animals. It helps demonstrate the relationship between kinds and the species within a kind. It is hoped that this book will help defend the believer's faith from the modern day attacks of secular science and encourage the believer to build a closer relationship with the Creator. Scripture Notebook - Exploring the Bible in Chronological Order One of the best ways to build a closer relationship with our Creator is to spend time learning about Him - and His great love for us - in the words of Scripture. Reading them in chronological order has the added benefits of clearly presenting the promises and the covenants forming our relationship with the Eternal, the progression of prophecies and their fulfillments, and the consequences of our actions, both individually and collectively, as part of His people. The rewards of knowing and understanding Scripture include a stronger relationship with our Creator, a better ability to discern good from evil, and, as a result, having peace in life. Creationist Notebook - Exploring Creationism in Scripture, Science, and Society The 'Creationist Notebook' is designed as a reference guide and notebook to aid in the personal study of Creationism. It contains an outline of many topics which support scientific creationism including the scriptural basis for Creationism, the scientific evidence for a young Earth, and the worldviews formed by Creationism and Evolutionism. It also contains lists of books, DVDs, and websites which act as recommended resources and materials for continued learning about individual topics and creation in general. Created Kinds - Exploring the Basis for Baraminology As the second volume in the Elder's Model of Creation series, "Created Kinds" explores one of the core concepts of life. Who is the Creator? How is man different than the plants and animals? How can the amazing variety of animals we see today be explained through the concepts of Creationism and Baraminology? These questions are examined by looking at Scripture with an emphasis on the original Hebrew wording to clarify the basic concepts surrounding created kinds. As these questions are answered, the value and significance of life becomes clearer, encouraging a person to build a closer relationship with Our Creator. Katagenos Species Concept and Classification System - Exploring the Taxonomy of Baramin and the Relationships of Created Kinds From the time of Adam, mankind has been describing and classifying that variety of plants, animals, and other parts of creation which surround him. Scripture states that He created things 'after their kind' and so it seems most logical to try and determine what those kinds are in understanding creation and life. The Katagenos Species Concept focuses on communication as the key to determining kinds and the species (breeds) within a kind. The Katagenos Classification System continues to use the Linnaean Binomial base, but adjusts things to fit the evidence of Created Kinds and removes the assumptions added to it by evolutionism. What remains shows the incredible complexity of life and the amazing amount of variety and beauty that our Creator has made which is there for all of us to enjoy. Encouraging Life - Exploring Mankind's Relationship with the Creator As the first volume in the Elder’s Model of Creation series, “Encouraging Life” gives an introduction to a wide range of concepts from the scriptural, scientific, and social aspects of Creationism. These concepts are woven together to present a deeper understanding of the creation, the Creator, the covenant relationship, salvation in the Messiah, and the battle with evil. This understanding demonstrates that building a close relationship with the Creator and learning His attributes of love, righteousness, blessing, and peace are the strongest possible way to encourage life. Encouraging Life Seminar Workbook - Building a Relationship with Our Creator The ‘Encouraging Life’ seminar focuses on the core concepts of relationship, reality, resonsibility, righteousness, and resistance to evil. These concepts are woven together to present the believer with a deeper understanding of the creation, the Creator, the covenant relationship, salvation in the Messiah, and the battle of good and evil. This understanding demonstrates that building a close relationship with the Creator and learning His attributes of love, righteousness, blessing, and peace are the strongest possible way to encourage life. Genesis Children's Outreach - A Handbook for Staff and Volunteers The Genesis Children’s Outreach is a local mission working to improve the lives of children. It’s goal is to improve the lives of children physically, mentally, emotionally, and spiritually by applying the concepts of reality, relationship, responsibility, righteousness, and resistance to evil. These concepts are based on a creationist view of the value of life and the desire of our Heavenly Father to love people and bless those who are close to Him. The Baraminology website. Todd Elder was trained in taxonomic study and systems as part of his Conservation Major at Kent State University. He is using this to develop the Katagenos Species Concept and Classification System which more clearly shows the Created Kinds made by the Creator. He is also working towards a better understanding of the differences between plants, animals, and mankind. This is also a work to defend the Scriptural account of Creation and show that Evolutionism is a false view of the world. 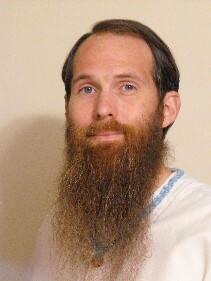 Todd Elder is the founder and current coordinator of the Creation Science League. The Creation Science League is a gathering of creationist speakers and organizations who have chosen to share at least some of their written or video materials freely. Supporters of Creationism, both professional and non-professional, are encouraged to enroll and add to the messages. The Creation Science League is not a formal business or organization and participation is completely voluntary. The Encouraging Life Children's Mission website wants to teach children that life is precious. It seeks to show that the ways to truly encourage life include knowing the reality of creation, having a close relationship with the Creator, being responsible in the covenant relationship, having a righteousness that comes only through accepting the Messiah as Savior, and resisting the evil that exists in the world. This page was last modified on 20 October 2017, at 08:50.